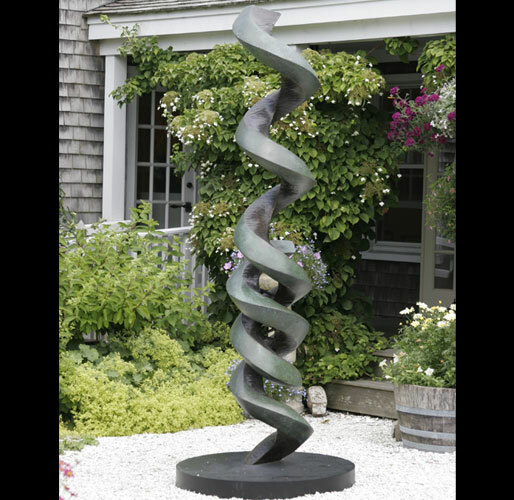 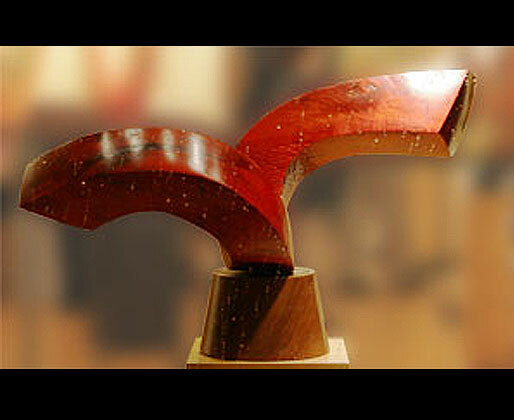 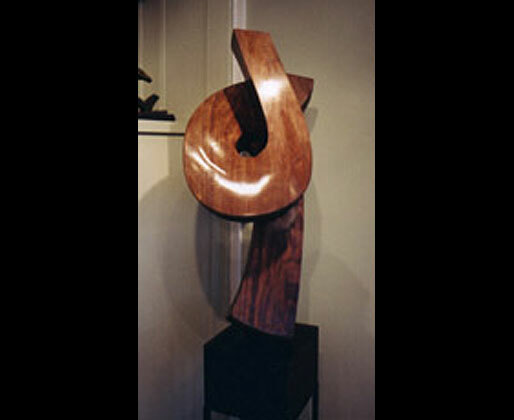 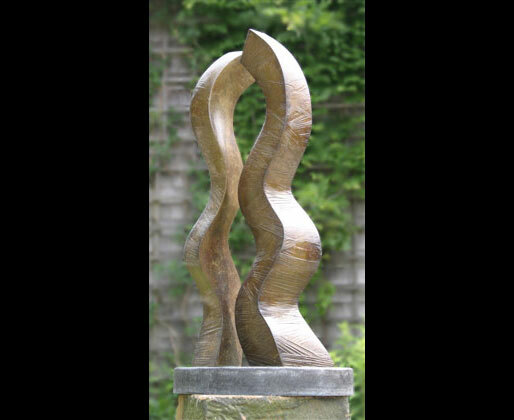 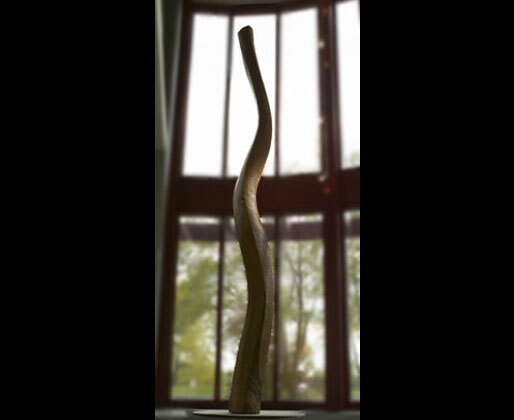 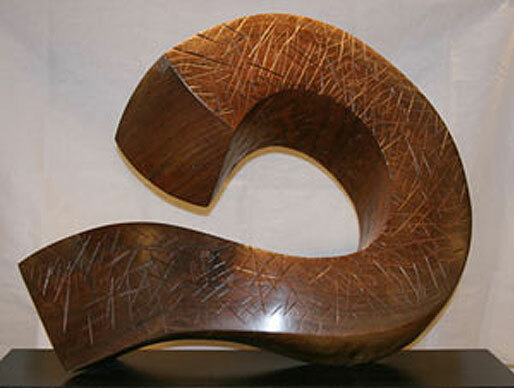 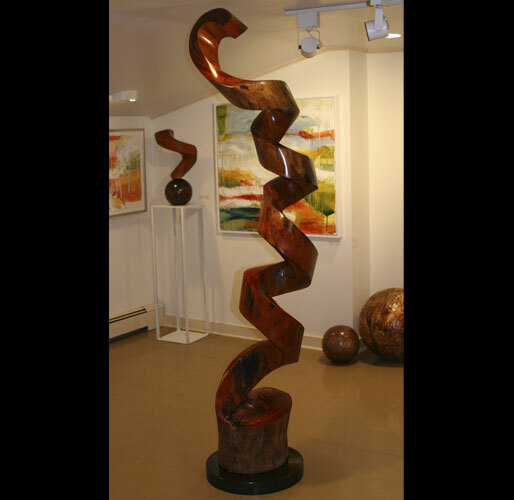 The elegant, graceful curves of the dancer are captured here in John Evans’ curling walnut sculpture. 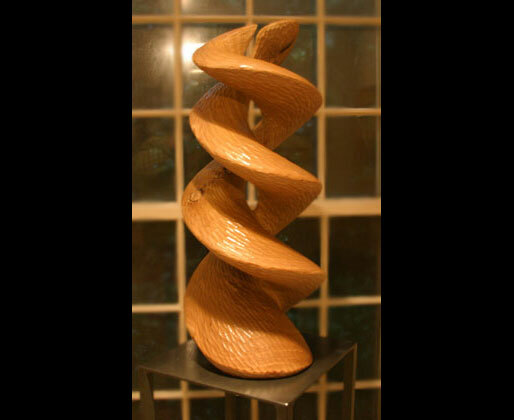 The natural grain of the wood combined with the tension in the design seem to operate in ways that parallel the movement of a dancer’s body. 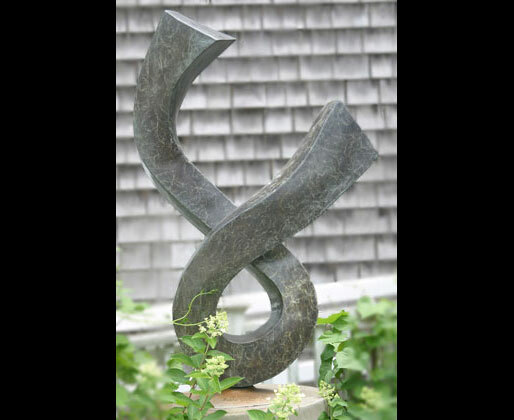 The strength and reach of the form are dynamic and suggest the next step while articulating the current movement.